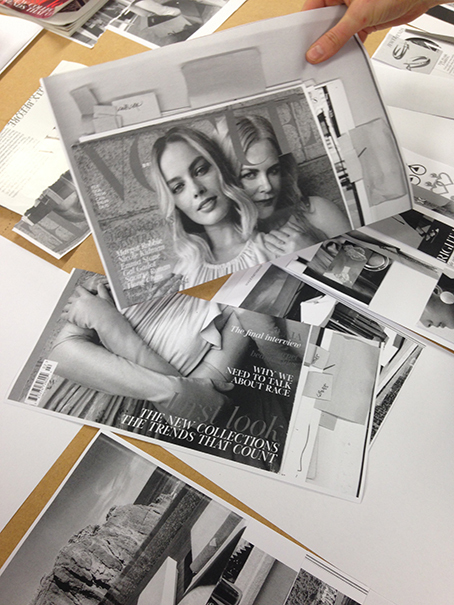 A Magazine Reader is a workshop in which a fashion magazine is being dissected, critically analysed from various perspectives and put together again in an alternative form. 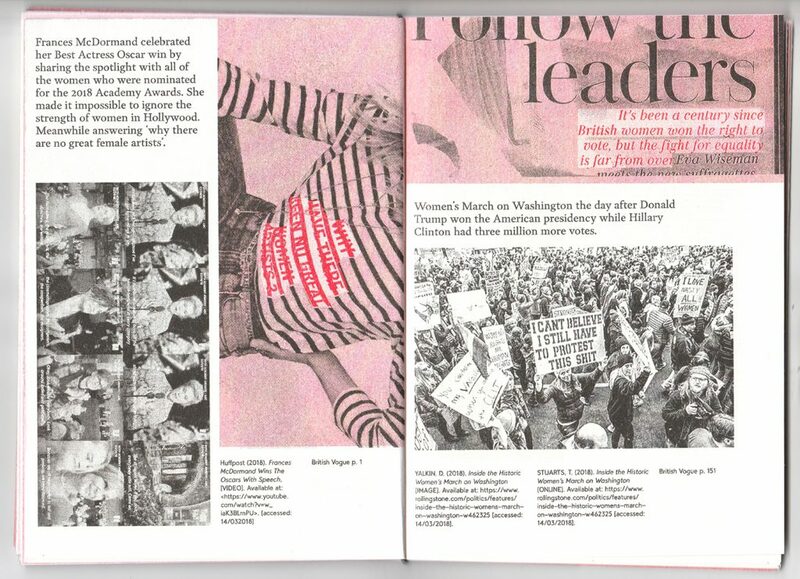 The material from the magazine is used to create a new zine that gives insight into the cultural power and forms of value production that’s at the core of fashion media. 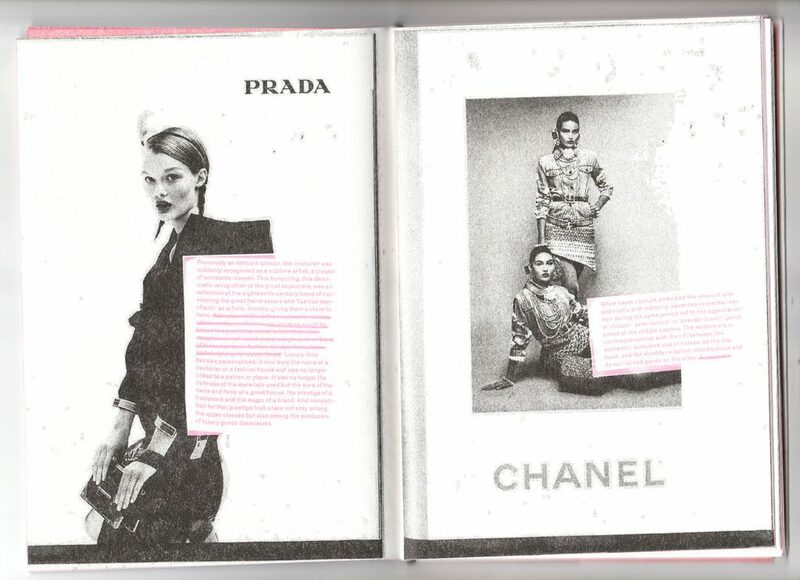 Re-reading the magazine by analysing the words, images, materiality, items and strategies of the specific magazine, changes the way we read fashion. 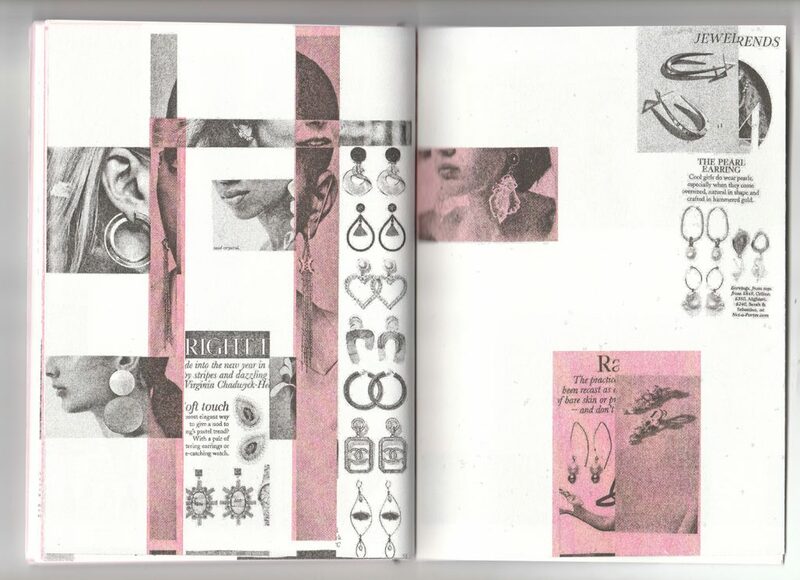 A Magazine Reader is a Warehouse production initiated by Hanka van der Voet and Femke de Vries as part of their individual researches into fashion media and language in fashion (Press&Fold magazine and Garment Grammar). The first edition is V*GUE, Issue February 2018. 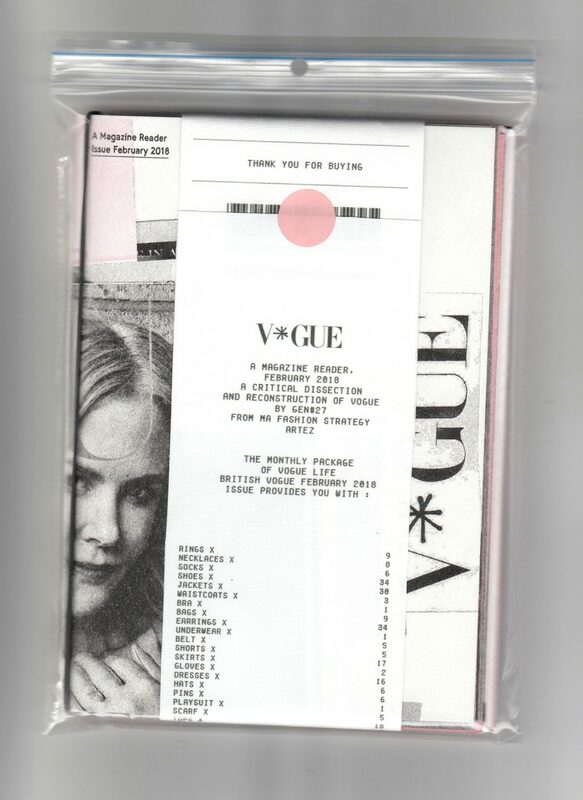 In this specific 5- day workshop with first year MA Fashion Strategy students #Gen27 at ArtEZ we explored a British Vogue from the perspective of ‘luxury’ today, and the way it is being sold through fashion mass media. We chose British Vogue as our material because of its renowned status within the fashion world and the excessiveness and extravagant use of glossy words and visuals adhering to the ‘fashion dream as a commodity. 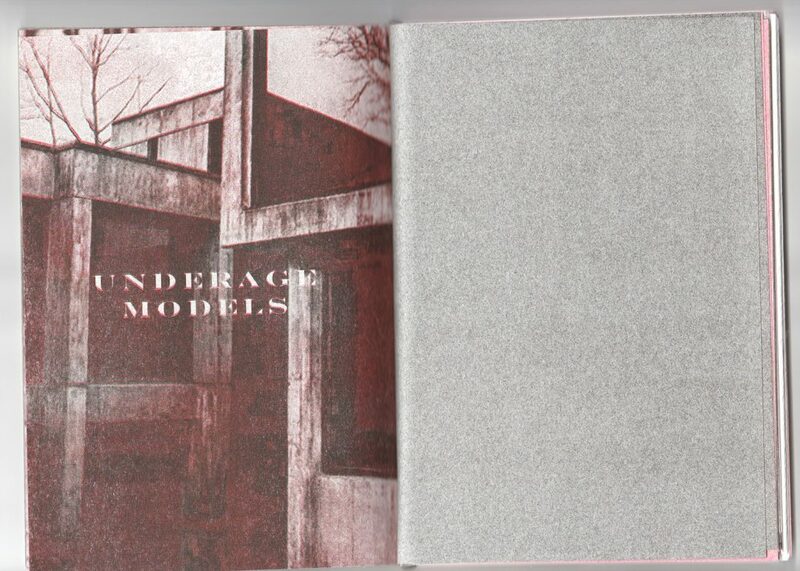 This magazine is a Warehouse publication, for ArtEZ Fashion Masters, MA Fashion Strategy. 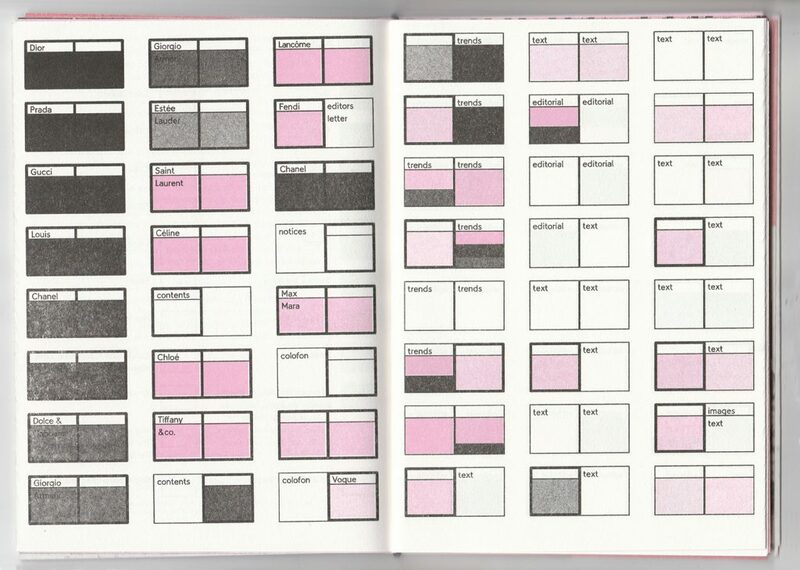 Designed by Corine van der Wal, in collaboration with Walter Books.